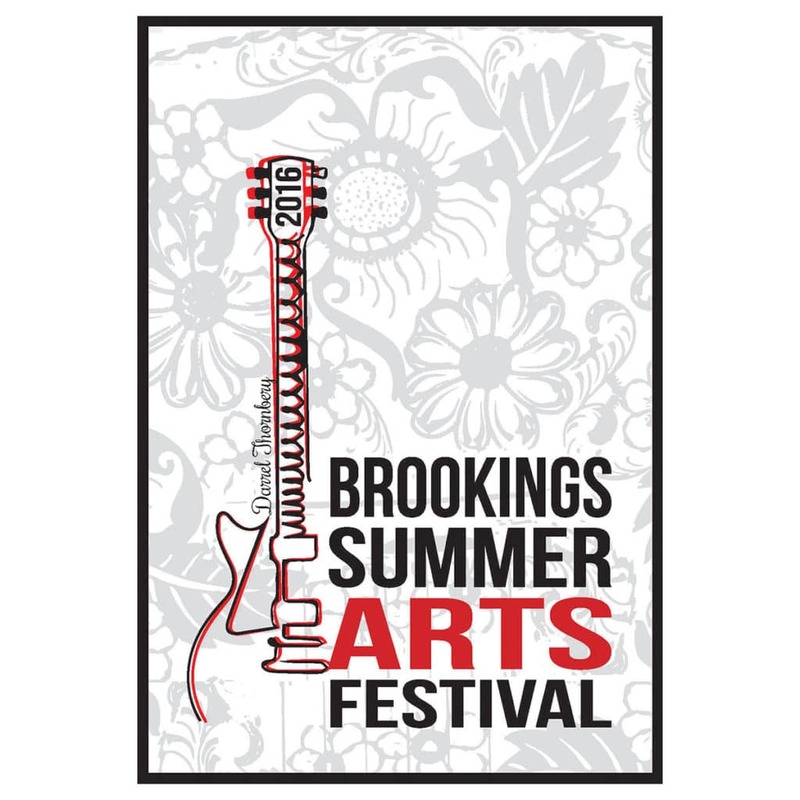 Celebrate the joy of summer and art with the Brookings Summer Arts Festival! weekend in July every year. Please leave your pets at home. Service animals are welcome. 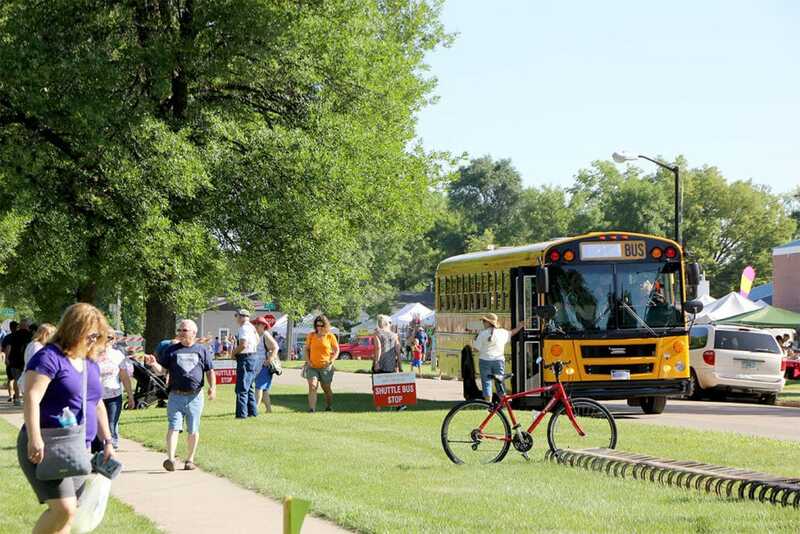 Shuttle buses from the South Dakota Agricultural Museum on North Medary Avenue and 11th Street will run continuously during the festival. Public parking is available on side streets and public parking lots downtown as well as localized pay to park lots north and northwest of festival. United Living Center, at 4th Street and 1st Avenue, also has a pay to park lot. Large parcel pick up is located on the west side of the park on Western Avenue. No parcel pick up is allowed on 6th Street or 1st Avenue. 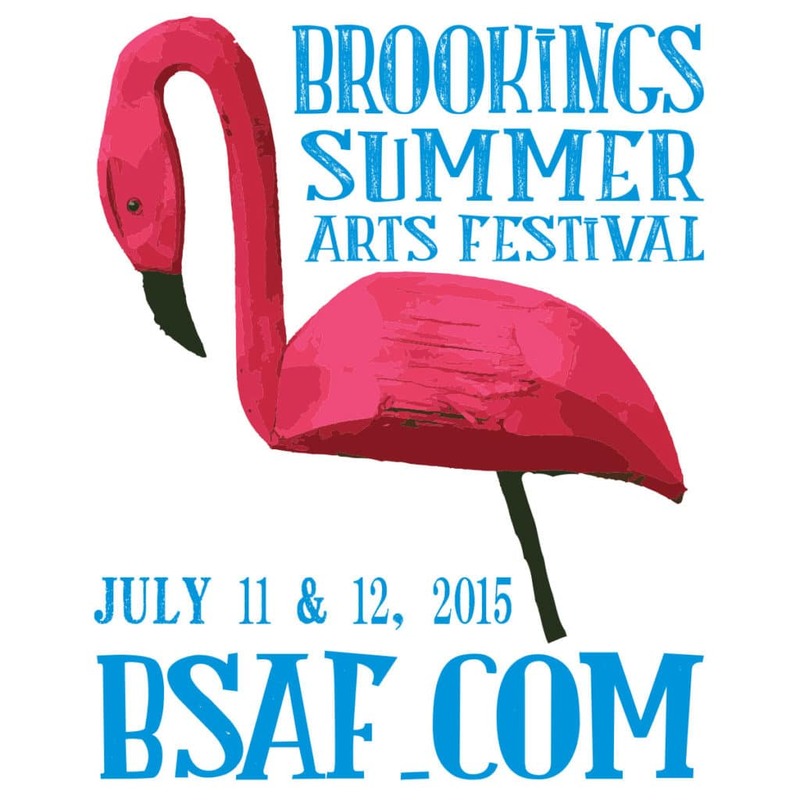 Shuttle buses will run Saturday 9:00 am to 8:00 pm and Sunday from 10:00 am to 5:30 pm. Buses run between the park and one convenient location. Shuttle fare is $1.00 per person, per boarding, one-way ride. If you have ever tried to find a place to park, the convenience of the shuttle bus is well worth it. SD Agricultural Museum North Parking Lot at North Medary Avenue and 11th Street. Reserved handicap parking is available on the east side of Pioneer Park and on the west side of the park off Western Avenue. Gate Guards at 2nd Avenue and 5th Street or at the south gate on Western Avenue will assist in finding handicap parking spaces. Watch for signs when you near the park.